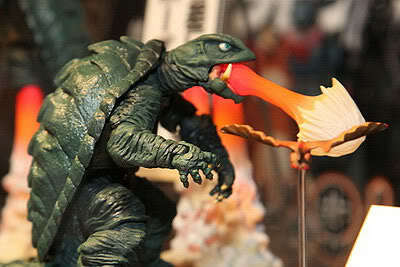 In 2010, Revoltech is rolling out SFX line features iconic characters from American and Japanese movie or TV series. Some of the characters is not the first time being made into toys other toy maker. However this new toy line may breathe new life or revival so to say to some movie franchise. Only time will tell. Among all the SFX Revoltech line, here are some that I find it interesting personally. How can one tired of Alien? For close to 2 decades, fan never seems to grow tired of Aliens. Toy maker like McFARLANE, NECA and even kaiyodo did a series of them before. 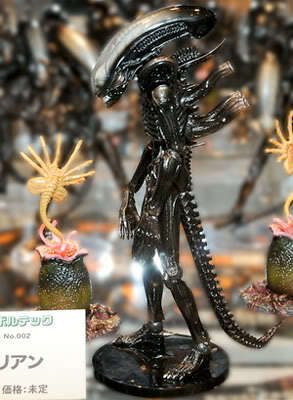 Revoltech finally get Alien into the SFX line. Beside the multiple articulations of the Alien warrior, it comes with the egg and the Facehugger. With Alien in the series, fans can look forward to the likely possibility of the Alien Queen or the Predictor in days to come. 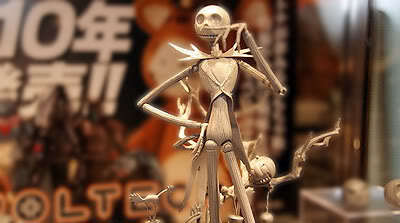 Jack Skellington, a lead character from Disney film Tim Burton's The Nightmare Before Christmas has found the way into the Revoltech. Even thought some years ago, McFARLANE and NECA did made him out as a Toy. Maybe this time, it will be more articulated than before. 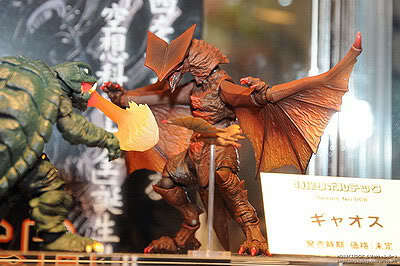 Taken from a Japanese movie 1967, Gamera vs. Gyaos (大怪獣空中戦 ガメラ対ギャオス), both monster will be made for fans to relive the epic battle yourself. I have always find Gamera cute. 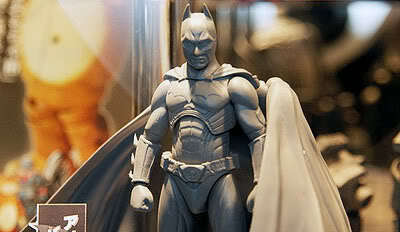 Riddle me this, Batman from the movie made it to revoltech but why not Joker? Well Batman fans, eat your heart out. The one that I did not see it coming a T-rex. 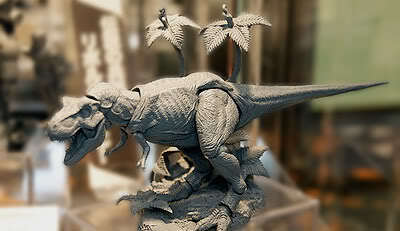 And not only any other T-rex but T-rex from the movie Jurassic Park with Diorama! So will the Raptor be coming soon? I personally find the Turtle monster cute. Is he one the monster from Gozilla series? Yes Dennis. I think he was with Godzilla in some old jap movie. Looking forward to the T-rex fron Jurassic Park! I got the big one from the Jurassic Park toyline. That 'turtle' actually has her own series of movies. That series includes Gamera vs Legion, Gamera vs Gyaos...quite awesome and as good as godzilla shows imo :D That T rex was quite unexpected lol. Which one you plan to get? Robocop would be a good choice. Maybe even better if they do the villain of Robocop those 2 robots. Like the pumpkin Jack and a T-rex, looking very Jurassic park like to me. Also saw a powersuit from the anime Starship Troopers along wth the Zoids that i would like to get. When you get it, can you review it too? For the latest movie version I am a Joker fan and not a batman fan especially not a Christian Bale. I am never much of a Batman fan. If I have to place my choice I would have choose superman any other day. So let's keep our personal preference to that.